In 1989, Blakeway Panoramas began photographing, publishing, and distributing the largest selection of high quality panoramic art prints. Our business has grown from panoramic photos of city skylines and sporting events to gigapixel fan photos in some of the world’s largest venues. Currently we are licensed with the NFL, NHL, NASCAR and approximately 100 colleges & universities. The Blakeway gigapixel is an amazing fan engagement tool. To fans, it is an online, interactive, 360 degree group selfie. The fan photo is massive – billions of pixels in size – and allows fans to rotate, zoom, and find themselves inside the stadium or arena. 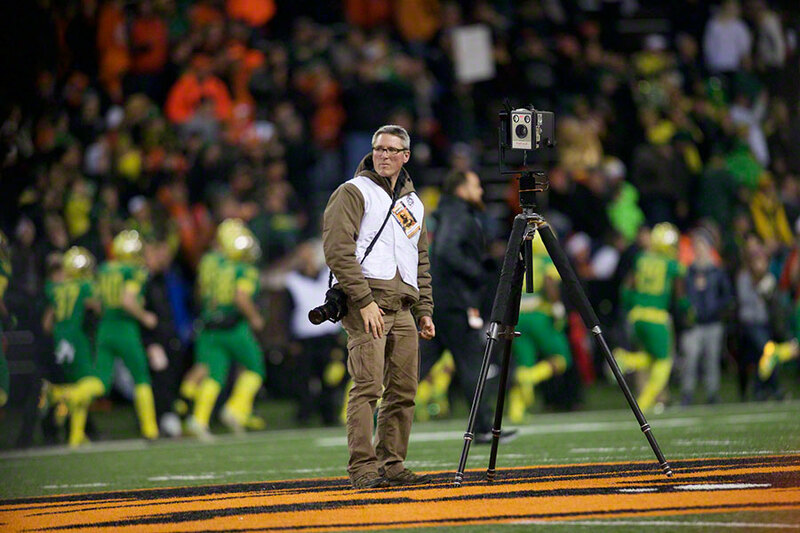 By tagging and sharing the photo online, fans have sent the gigapixel on a viral journey. How big are these images? Blakeway Gigapixels are huge - most are over 25 gigapixels in size (that's 25 billion pixels)! If you were to surround yourself with a sphere of 1080p HDTVs (2 megapixels) and display the image at full resolution, you would need over 13,000 HDTVs to show the entire image at once. Blakeway Gigapixels are massive, allowing for the most incredible detail in fan event images in the world. 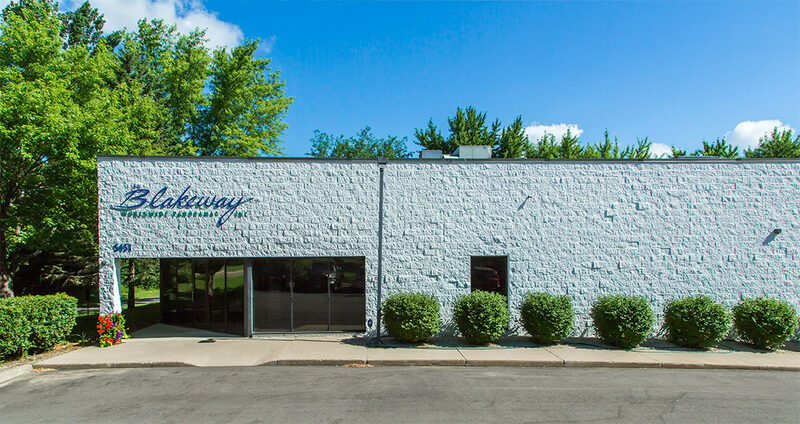 Blakeway Gigapixels are taken with cutting edge equipment that produces hundreds of high-resolution images that are then digitally stitched together by our talented team. With our extensive experience and incredible equipment, we can capture the fans in about two minutes, often times during game breaks or TV timeouts. We then stitch it together and have it ready for fans to view in about 24-48 hours depending on the venue size. Our team works with you before the event to design and code the landing page specific to your brand with a custom look and feel. Our photographer shoots a series of high-resolution photos capturing the excitement from the venue in as little as 2 minutes. Our photographer uploads the photos from the venue direct to our office in Minnesota for our production team to start work on right away. Our production team begins stitching the photos into a 360° high-res image using our custom-built, extremely powerful computers. The 360° image is processed for online viewing. The files are pushed to our cloud servers specifically designed to handle massive traffic levels. You launch your Blakeway Gigapixel to fans via social media and email. We create promotion assets to help make as turnkey as possible. Blakeway Gigapixels are made from hundreds of high-resolution photos taken in mere minutes at your event. The photos are then digitally stitched together. Our process is faster, less images, yet higher resolution than other companies thanks to our extensive experience and incredible, cutting-edge equipment. The photos are taken during game breaks. We provide launch assets, set up the page and provide all hosting and server maintenance, making our product turnkey and easily activated. Blakeway Gigapixel is ready to launch within 24-48 hours after the event. We offer an exciting number of product features.